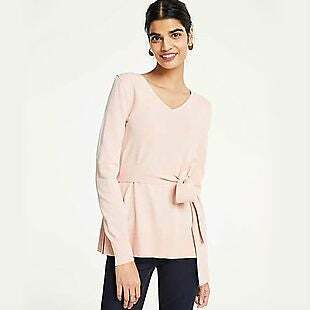 Expiring Soon With this Macy's coupon code enjoy 15% or 20% off select merchandise during the Easter Sale. Shipping is free at $75. Enjoy an extra 20% off when you buy sale and clearance priced items with this Lord and Taylor promo code. This offer will expire on 4/24/19. Expiring Soon Enter this Kohl's coupon code to enjoy 20% off your purchase. Destination Maternity: $25 off $125 order. Expiring Soon Take 84% off a five-pack of printed lounge pants and get free shipping when you apply our exclusive Proozy promo code at checkout. Shop the Friends & Family sale and take an extra 40% off Clearance plus enjoy free shipping on any order of $49+ when you apply this Eddie Bauer promo code at checkout. 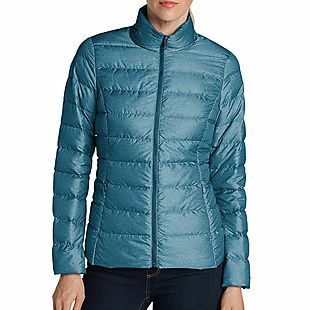 Excludes sleeping bags, tents, Gift Cards, and non-Eddie Bauer brand products. Expiring Soon Shop Wilson's Leather Best Of Spring Sale for 70% Off Select Styles and 40% Off Everything Else With Code. Catherines: $50 off $150 orders. SHEIN: Easter Sale - $10 off $90 Orders. 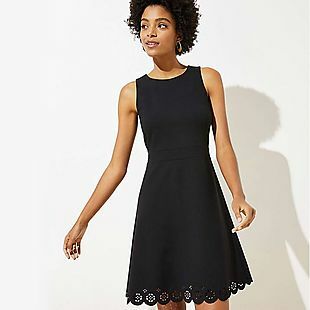 Take 15% off when you spend $99 at DressLily. No coupon code necessary. Save 5% off your order when you apply this Modlily coupon code to checkout. Take 25% off select kids' uniforms at Rainbow. No promo code required. Get 70% off sitewide when you apply this Few Moda promo code at checkout. Take an additional 30% off already-reduced sale items when you apply this Michael Lauren promo code at checkout. Receive free shipping with your purchase of $250 or more when you apply this Cost Plus World Market promo code. Enjoy free shipping sitewide at Bobeau.com when you use our exclusive promo code. A Pea in the Pod: 10% off for Military Discount to Veterans, Active Duty Military Personnel and Family Members Valid in stores with military ID. Take 15% off your entire purchase online with this Express coupon code. Expiring Soon Apply this American Eagle promo code to enjoy free shipping on your order when buy a Tailgate item. Take 30% off when you purchase regular priced items with this Reebok promo code. This offer expires on 4/30/19. Use our exclusive Uncle Dan's promo code to take 10% off your order. Enjoy 10% off your purchase with this Boscov's coupon code.